Literature is full of great, timeless friendships. Currently, however, there is a scarcity of really great female friendships circulating publishing these days, especially YA. This is sad, because with all the great heroines we’re getting, it seems a massive oversight. Look at The Fault in Our Stars, a great YA book with a female heroine and no important female friendship of note. Or, even consider The Hunger Games. Again, there is a strong female character, but Katniss’s most important female friendship is with her little sister (who she sees almost as a daughter to be protected). I’m so interested by female friendships because I see them as a key cornerstone in establishing more diverse books. If a story’s heroine has a solid relationship with her female friend, it also goes to say that the book has more than one female character. Also, the great friendships show that a woman can draw strength from her relationships without having to relate through a man. So, to remind the world that lady friendships can rock in works of fiction, here are my four favorite female friendships from classic British Literature*. The relationship between main character Elizabeth Bennet and her friend Charlotte Lucas offers a great example of a female friendship. Both women depend on the other for emotional support. Even though Pride and Prejudice is seen as a great romance novel, Elizabeth and Charlotte’s relationship is not defined or motivated by either one’s relationship to Mr. Darcy, Mr. Collins, or any other man. Another reason Elizabeth and Charlotte’s relationship is so great is because it’s not even intrinsic to the plot. I feel a lot of writers worry that if they invest too much into a pair of characters’ relationship to one another, it’ll overshadow another relationship. However, with Lizzy and Charlotte we see a natural, important female friendship that does not overshadow any other aspect of the book. 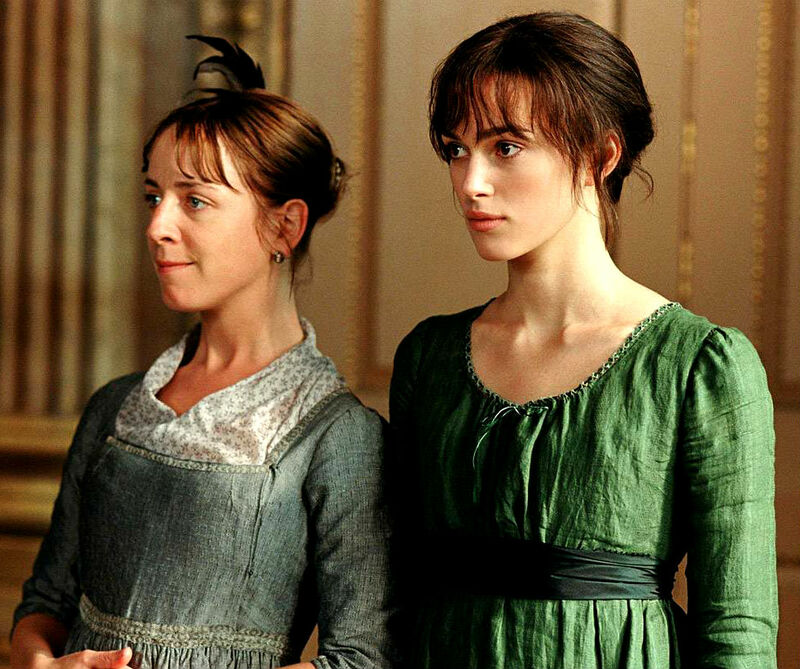 Another bonus to Pride and Prejudice is that Elizabeth is really good friends with her sister Jane as well. So, we not only have one great female friendship, we have two! I first read Jane Eyre at a point in my life when I still enjoyed reading romance, and petulant, Byronic male love interests were my favorite. However, if we look at the tragically short relationship between school-aged Jane Eyre and her friend Helen Burns, we see a beautiful female friendship. What I love most about Helen and Jane’s relationship is how much Jane grows from it. Jane has a hard upbringing, but from Helen she learns not just kindness, but also how to deal with the idea of people not liking her through no fault of her own. This is a hard life lesson, but a genuine one that Jane carries with her for the rest of her life. would eat his heart in the market-place. You read right folks. Beatrice just threatened to eat the heart of the man who scorned her best friend. It’s just so awesome. There’s so much solidarity between Beatrice and Hero. There’s a passion and uniqueness to Clarissa and Sally’s relationship. Clarissa loves Sally’s lack of inhibition and frankness. Clarissa even recounts Sally kissing her in the garden to relay an element of sexual tension in their relationship. What I love most about Clarissa and Sally’s relationship is how it spans years. It does not end with Clarissa’s youth, but continues on into their adulthood. Also, even though Clarissa and Sally have not seen each other for some time, when Sally arrives at a party Clarissa throws she still clearly considers Clarissa a very close friend. So, what are your favorite female friendships? Can you think of any great friendships from modern literature, film, or television? *I studied mostly British literature in college; hence, my favorites are all from British literature.